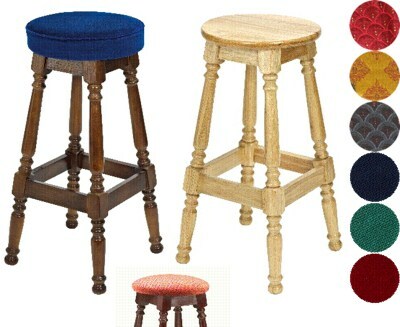 Bar stools, kitchen and counter stools, breakfast bar Stools. 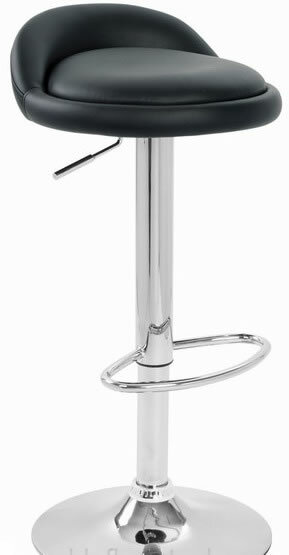 The strong fixed height 4 leg frame features a high quality chrome finish and an integrated foot rest, making a sturdy base for the stool. 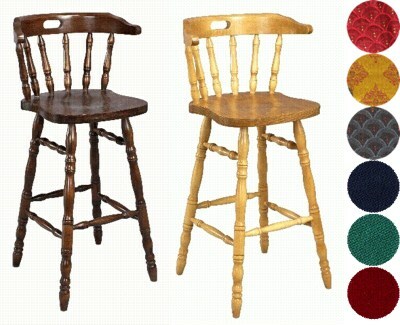 High quality European Beech hardwood in traditional design with turned legs and backrest spindles. Finished in dark oak stain, walnut, or light oak. Large range of alternative upholstery available on request. The seat height is 73cm and the arm width is 50cm. High quality European Beech hardwood in traditional design with turned legs and brass rail footrest. Finished in dark oak stain. Large range of alternative upholstery available on request. 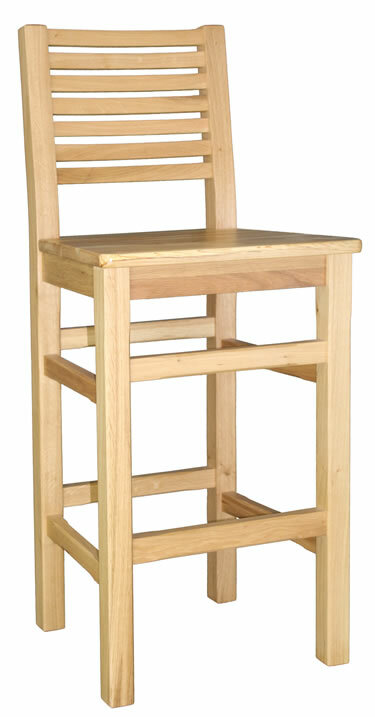 High quality European Beech hardwood in traditional design with turned legs. Finished in dark oak stain, walnut, or light oak. Large range of alternative upholstery available on request. High quality European Beech hardwood. Finished in dark oak stain, walnut, or light oak. Large range of alternative upholstery available on request. 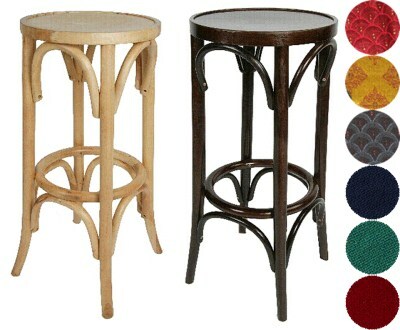 High quality European Bentwood in beautiful design. Finished in dark oak or light oak stain. Large range of alternative upholstery available on request. High quality European Beech hardwood in beautiful traditional design. Finished in dark oak stain, walnut, or light oak. Large range of alternative upholstery available on request. Price is for a pair. Please contact Net Furniture for odd amounts. 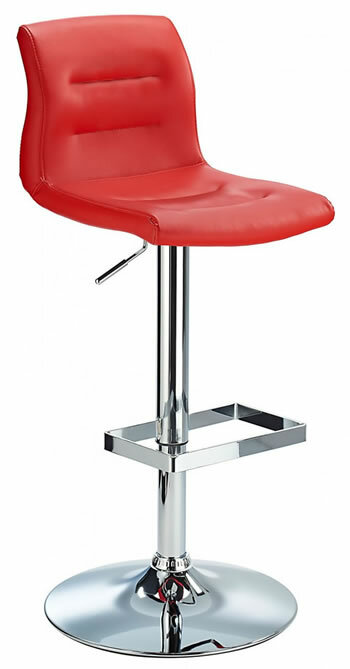 The strong fixed height frame features a high quality chrome finish and an integrated foot rest, making a sturdy base for the stool. The legs are then finished with four rubber floor protectors that will ensure your floor remains scuff and scratch free and these rubber pads also act as a non-skid base! 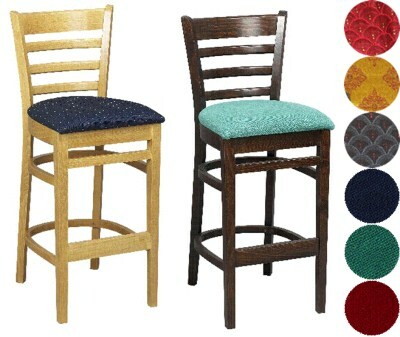 This bar stool has all the style and the comfort factors which lead to creating a superb breakfast bar stool. 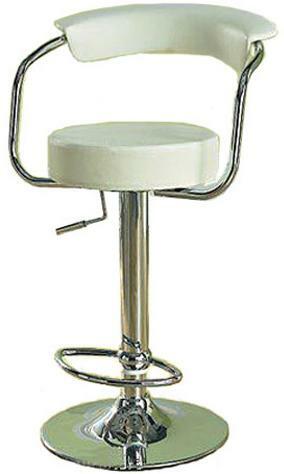 It features a very comfortable, extremely well padded seat, filled with the highest density foam, and the design itself is finished with a lavish chrome base, and foot rest for added functionality. 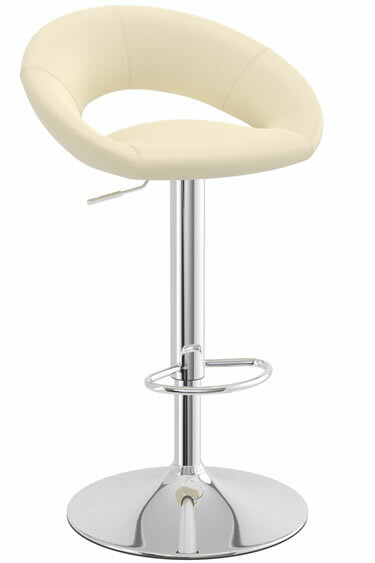 The gas lift mechanism enables you to adjust the height of the bar stool with ease and swivel 360 degrees. 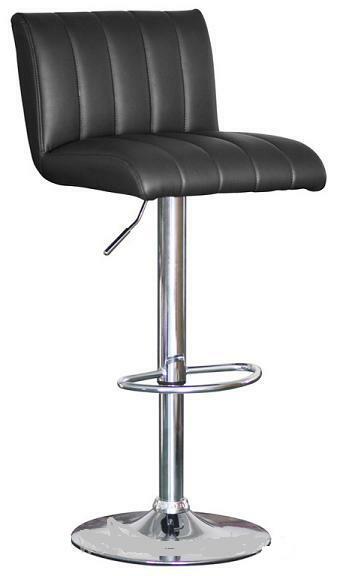 This bar stool swivels 360 degrees and is fully operated by an easy to use gas lift mechanism which enables you to adjust the height of the bar stools with ease. It is available in black, white, red or brown. 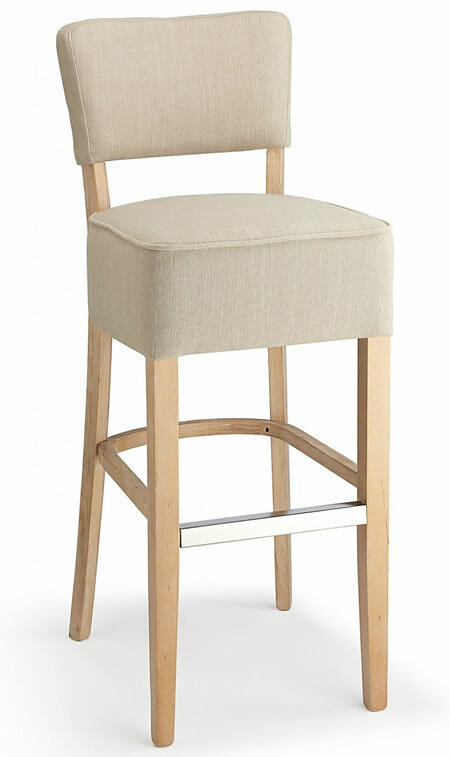 This kitchen bar stool is designed for comfort and support. 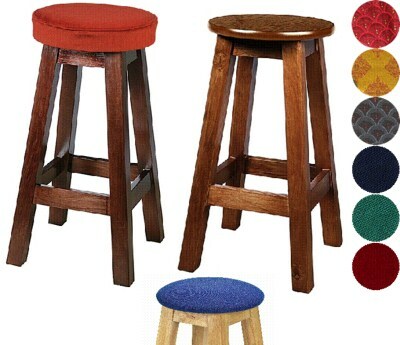 The stool seat is generous in size and comes with a fully padded back rest, making it perfect for use for formal dining or just a quick snack. The stool has a chromed column with footrest, a height adjustable gas-lift and a 360° swivel action. A wide, sturdy chrome base comes with a hidden floor protector. 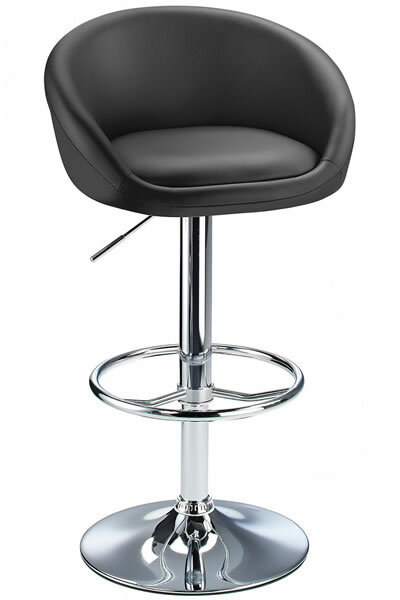 The Ohio Faux Leather Bar Stool has a chrome foot-rest and base with an adjustable height gas lift and 360° swivel mechanism . The padded round seat cushion gives great levels of comfort and the padded curved back rest provides back support. 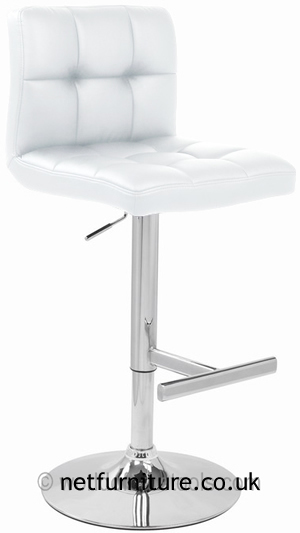 The chrome frame provides arm rests for extra comfort. . A wide, sturdy chrome base comes with a hidden floor protector. This is an excellent choice all round giving a comtemporary feel with the benefit of high levels of comfort. 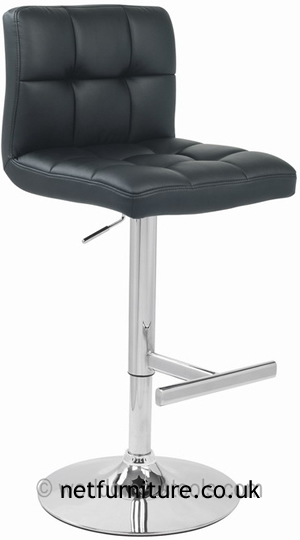 Faux leather padded seat with brushed steel finish frame and footrest. Gas lift swivel and adjustable. Designer. Available in black, brown, green, grey, cream, white, orange, and red. Real leather padded seat with brushed steel finish frame and footrest. Gas lift swivel and height adjustable. Available in black, brown, white and cream. 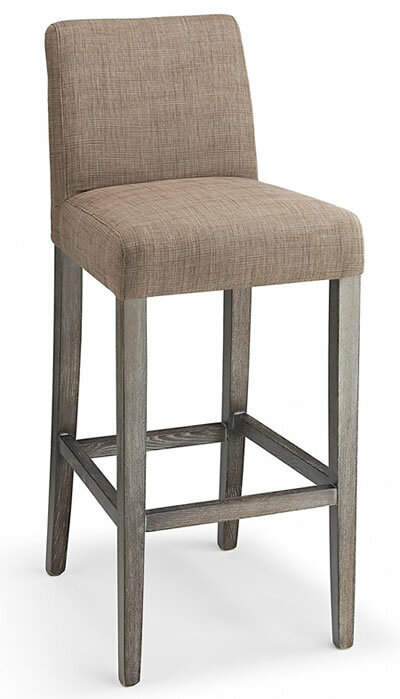 There's no need to compromise comfort for style with the Cayshon Bar Stool. 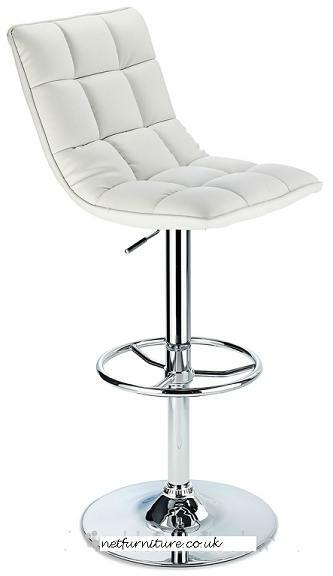 It has a luxurious padded seat top that's so comfy you might find yourself staying at the bar for a few extra drinks. The contemporary design makes it the perfect addition to your home bar, games room or breakfast bar. 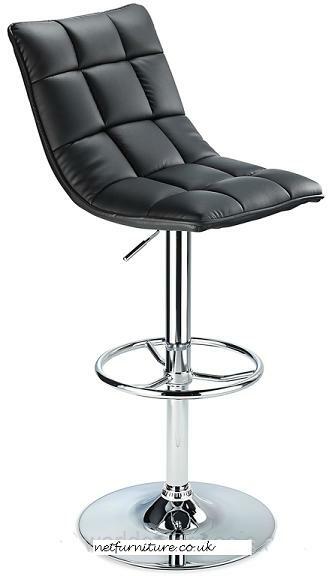 The seat top is upholstered in black faux-leather and sits upon a chrome finish stainless steel leg, base and footrest. 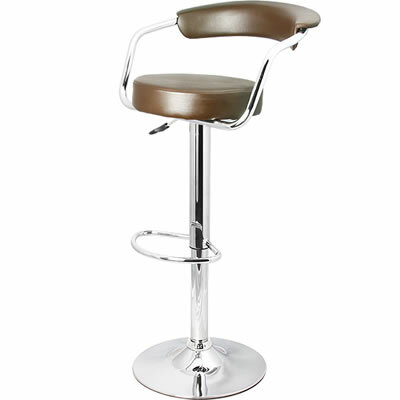 This stool features a gas-lift mechanism for a height adjustable seat top and 360° rotation for practicality. Brushed steel frame with padded faux leather seat. Adjustable gas lift and swivel. Ergonomic backrest. Available in black, brown, cream, red and white. w 490; d 440; h (to seat) 770 OR 660 h (to top) 1025 or 915. 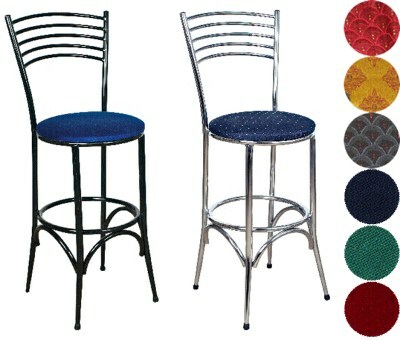 Modern bar stools with padded seat and backrest. 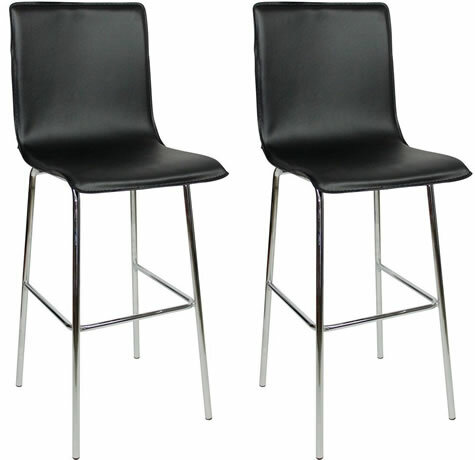 These bar stools are contemporary but have that classic quality feel to them. The seat and understated footrest lift up and down effortlessly with the push of the height adjuster handle and can be as low as 56 cm up to 78cm. This item is available on a 48 hour delivery. Please select from dropdown menu below. 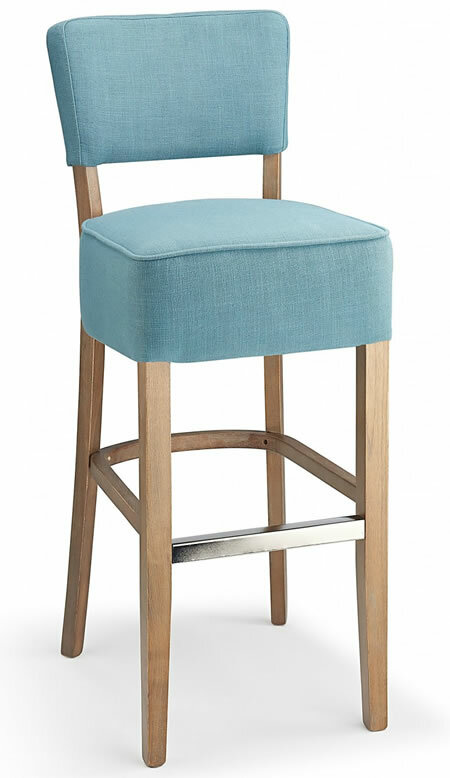 The Blackhazel bar stool design is stunning in its concept. 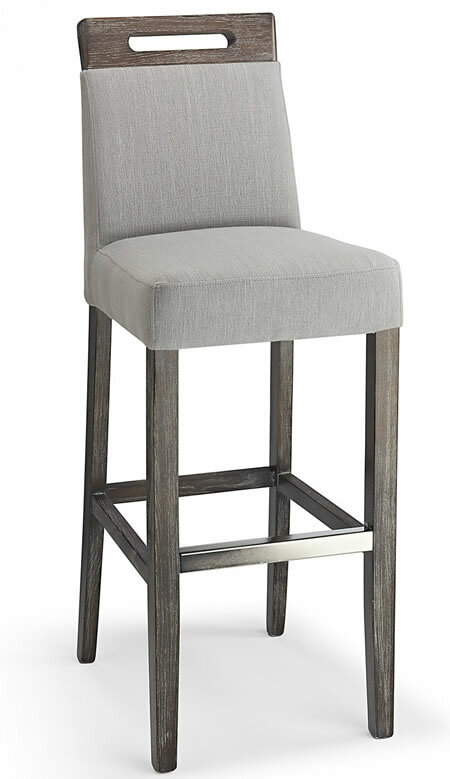 The bar stool combines faux leather with a decorative criss cross stitching and chrome to create the perfect addition to your home or social establishment. 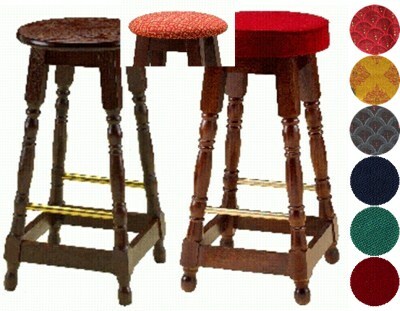 The ergomics of the bar stool create a super support system for the upper and lower back. It is easily height adjustable and swivels 360 degrees. This model available in black or white. 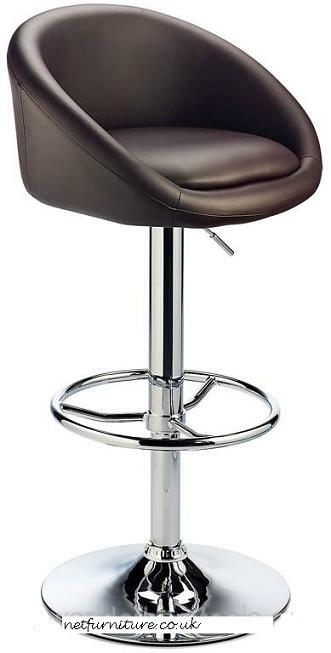 The AVANTE BAR STOOL is an all time classic design. It is stylish and trendy, yet also very suttle as well at the same time allowing it to blend in to any modern or traditional setting. The decorative grid effect on soft faux leather, creates a graceful and inviting look, that is modernised with the two piece seat section. 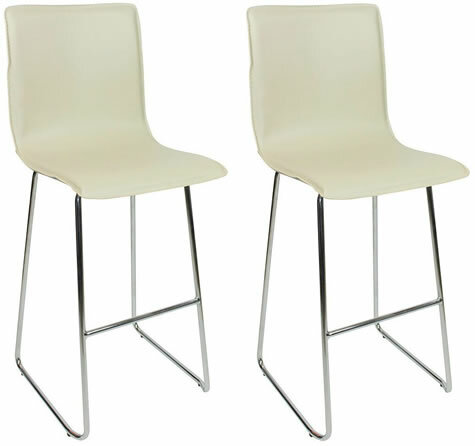 This classic style will add a chic designer edge to any kitchen or commercial property. 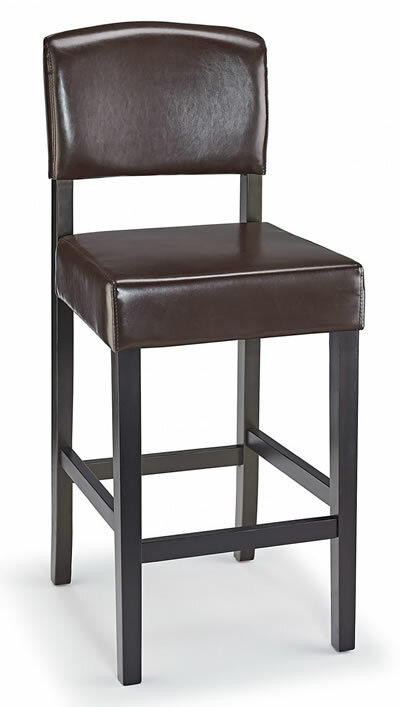 The AVANTE BAR STOOL is available in black or brown. 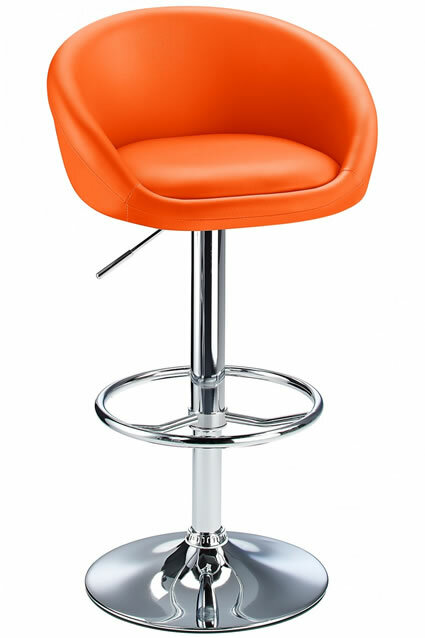 The seat has a faux leather covering, with four successive chrome circles forming a decorative rim around the seat. 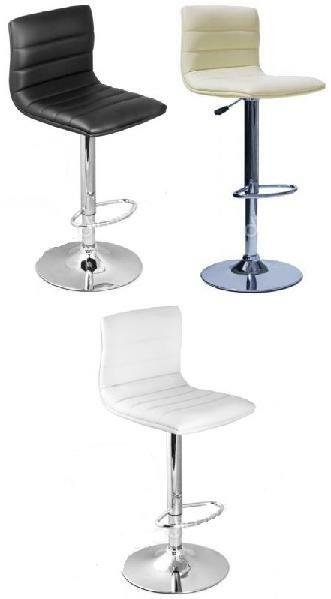 A large chrome base supplies the stability to the bar stool, while the practical footrest and frame are also chrome to tie in with these superb design features. A convenient handle activates height adjustments by the gas lift mechanism, and the seat can also swivel a full 360 degrees. 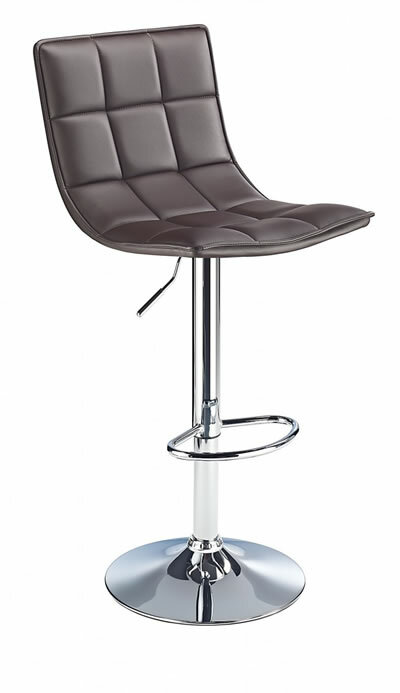 This bar stool is available in brown, white, black, cream or red. 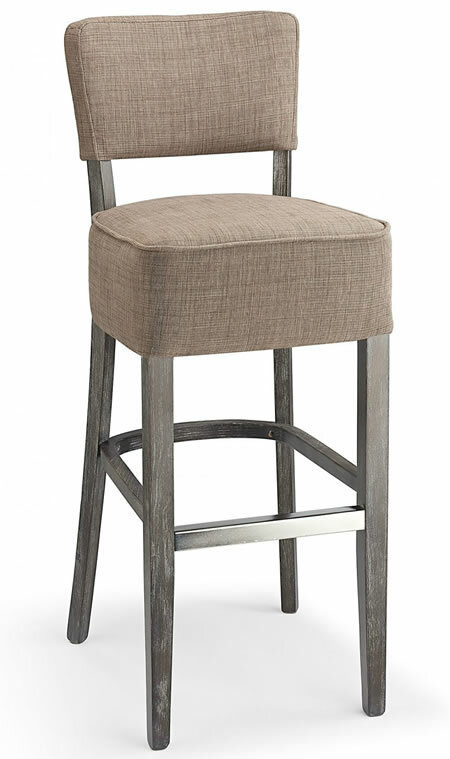 The Grand Bar Stool is modern and stylish. 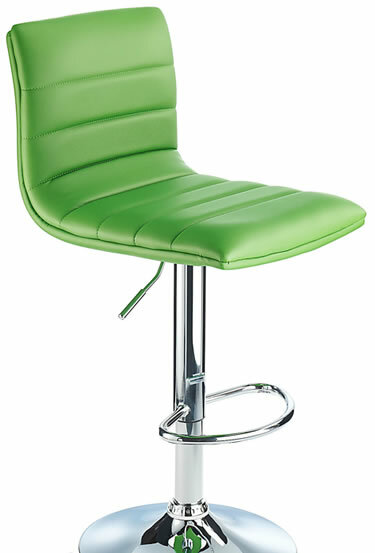 The padded seat and padded backrest offers comfort as well as great looks. 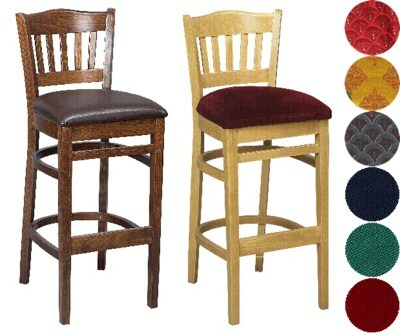 A simple design, which means it will look great in any bar setting. With a backrest and padded seat, this barstool is great for all to use. 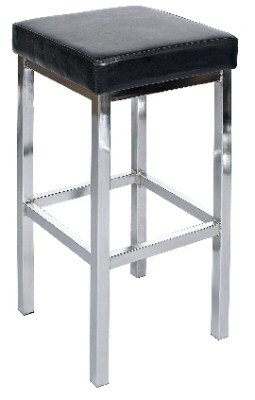 Lombardy Kitchen Breakfast Bar Stool - Black Seat Chrome or Brushed Frame. 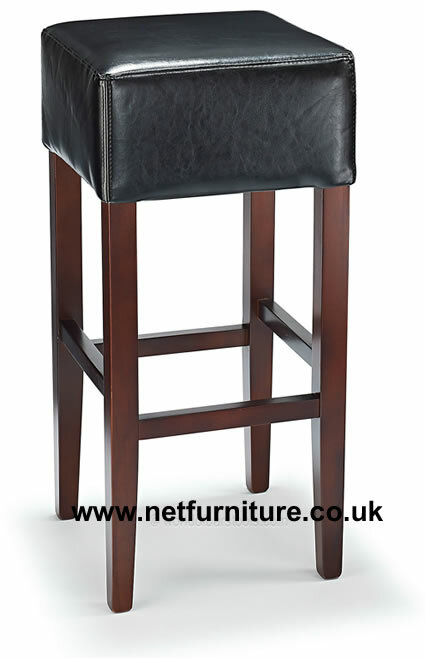 A sophisticated and comfortable bar stool in beautiful faux leather. The faux leather wraps itself around a cushioned back and seat, which appears glamorous in any indoor space. 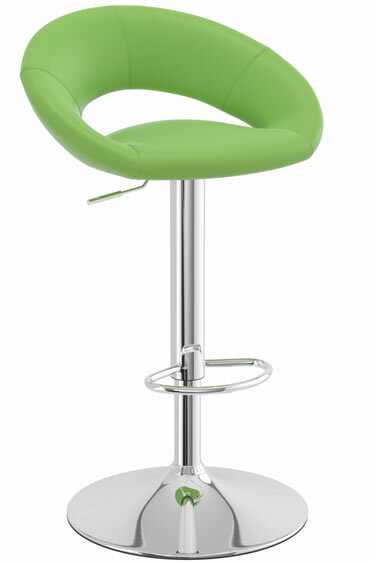 Height and swivel features accommodate to the needs of anyone sitting on the Lombardy, while the ring-shaped footrest offers comfort whenever it is required. 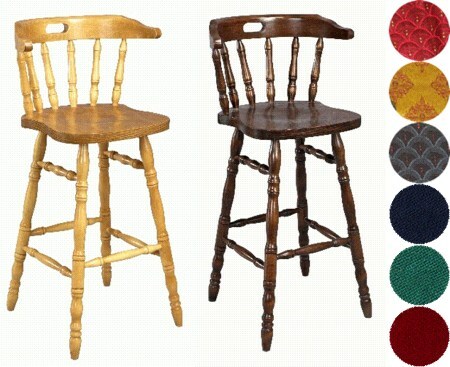 Colours available in black, cream, brown, orange, purple and green. 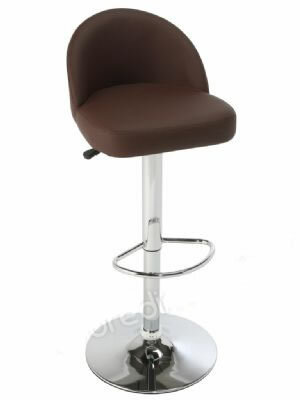 Lombardy Kitchen Bar Stool - Brown Padded Tub Chair Style Seat Chrome or Brushed Frame. 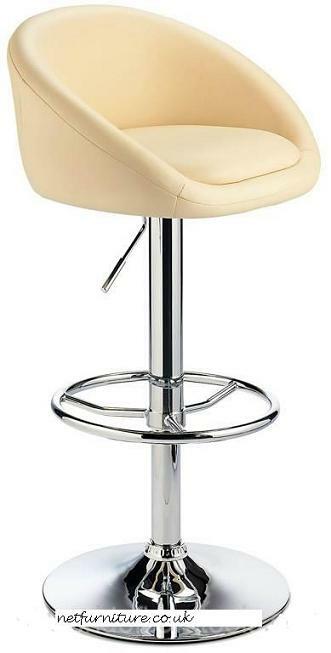 Lombardy Kitchen Bar Stool - Cream Adjustable Height Padded and Swivel Seat. 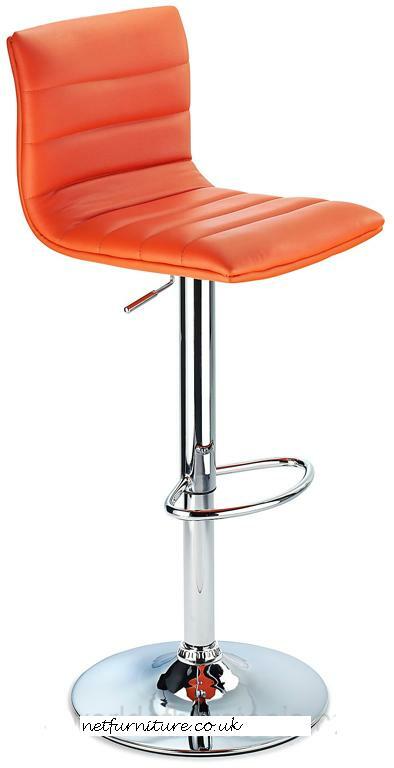 Lombardy Kitchen Bar Stool - Orange Padded Seat Adjustable Height Chrome or Brushed Frame. Lombardy Kitchen Bar Stool - Purple Padded Seat Adj Height Chrome or Brushed Frame. The classic button hole seat is curved to fit the body and has a chunky footrest built onto the frame for extra flexibility. 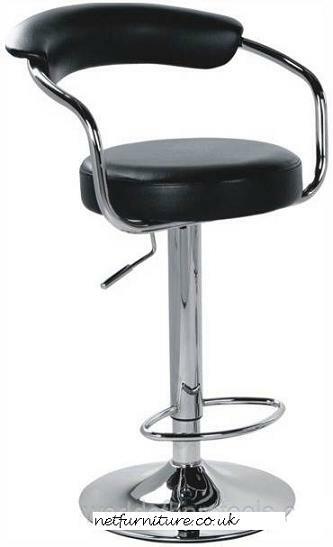 The solid chrome frame is crafted from steel and has a 360-degree swivel function as well as an adjustable seat height. 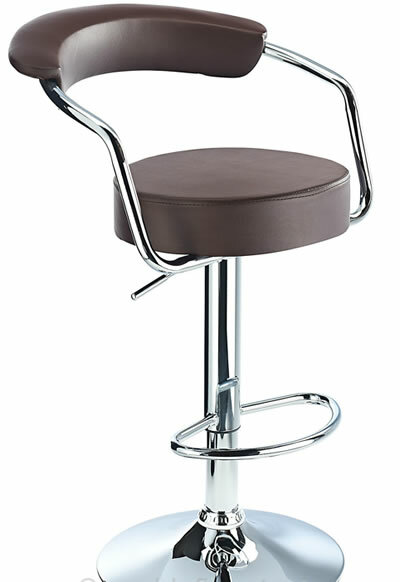 The Scaponi bar stool is available in black, brown, cream, white, grey and cognac. 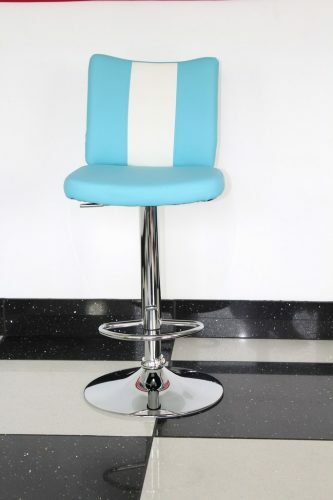 American Diner Retro Style Kitchen Bar Stool – Retro-look American diner style bar chair stools in blue faux leather, fully upholstered with contrasting panel and chromed steel frame. They are made using easy clean, generously thick and comfortable pads with a rigid steel frame, providing great durability with a fab look! 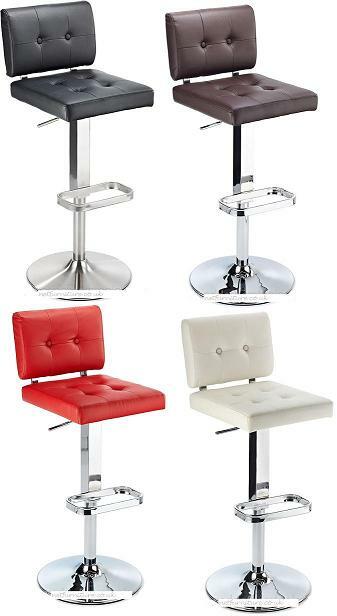 Easily assembled and height adjustable using gas lift mechanism with 360 degree swivel. 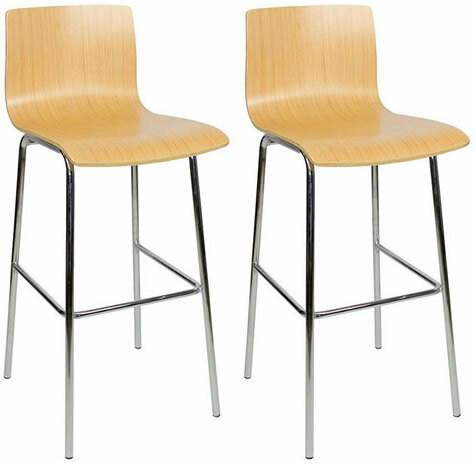 These stools are fully UK fire retardant certified. 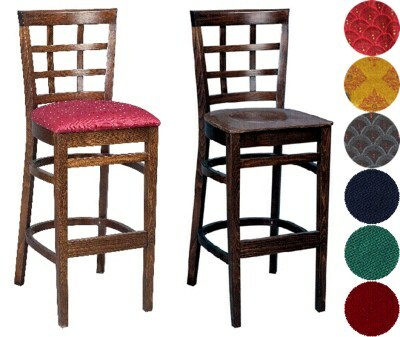 Primo Wooden Bar Stool - Real Top Grain Bonded Black Quality Leather Padded Seat - Walnut Frame - Fully Assembled. The seat is fully padded. The footrest adds grace and class as well as comfort.